Dreweatts 1759, Mallett and SALON, the project space at Saatchi Gallery, have teamed up to stage an exhibition of the paintings of British artist Berenice Sydney (1944-83), her first major UK show in 30 years. 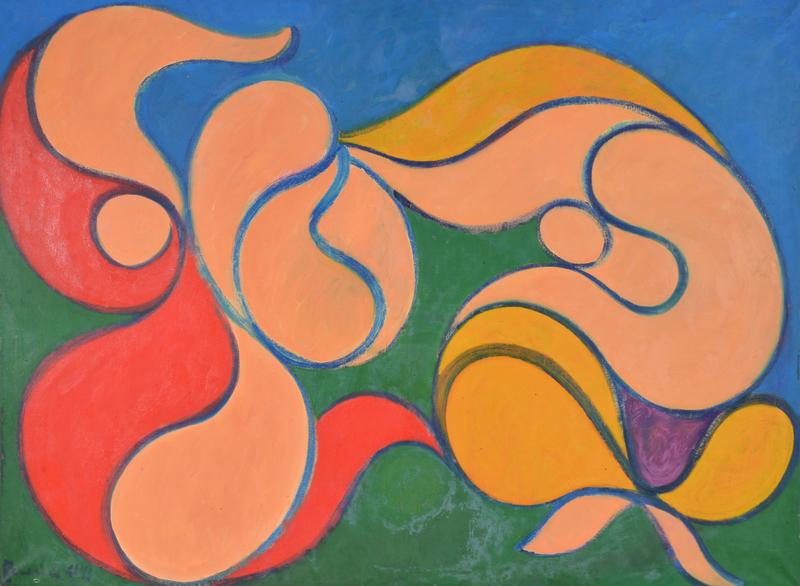 This 1966 oil on canvas by Berenice Sydney is included in Dancing with Colour at Saatchi Gallery. It is offered for £13,500. Courtesy the estate of Berenice Sydney. Offering oils and works on paper, the show is titled Dancing with Colour. The pictures on offer reflect the vibrant colours and lyrical style that typified works by Berenice (as she was professionally known). She travelled widely to Greece, the Aegean islands and Egypt, drawing on the history and mythology of these cultures during her painting career, which stretched from the late 1960s to the early 1980s. She also produced costume design, performance pieces and even children’s books. 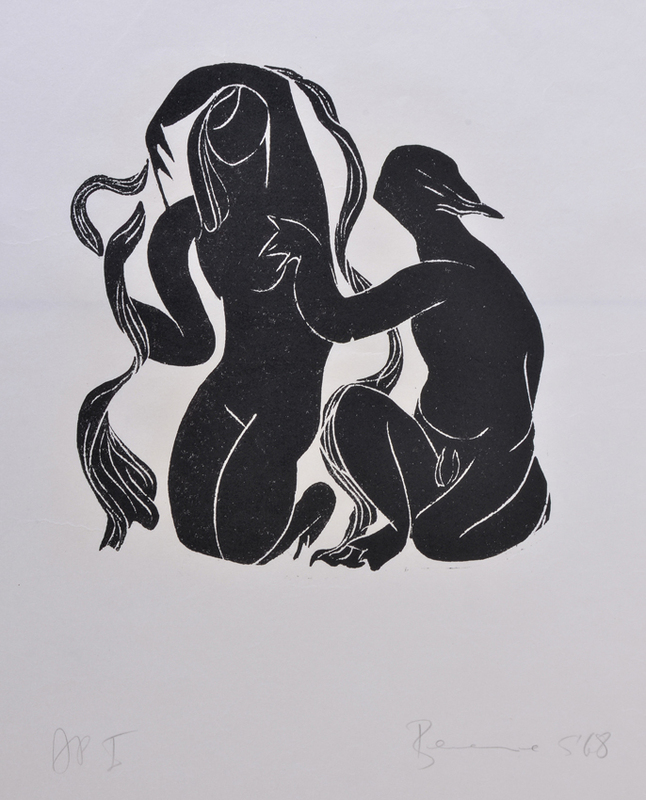 Dancing with Colour at Saatchi Gallery includes ‘Psyche and Eros,’ a linocut from 1968 by Berenice Sydney, which she completed in 1968 and is offered for £1300. Courtesy the estate of Berenice Sydney. 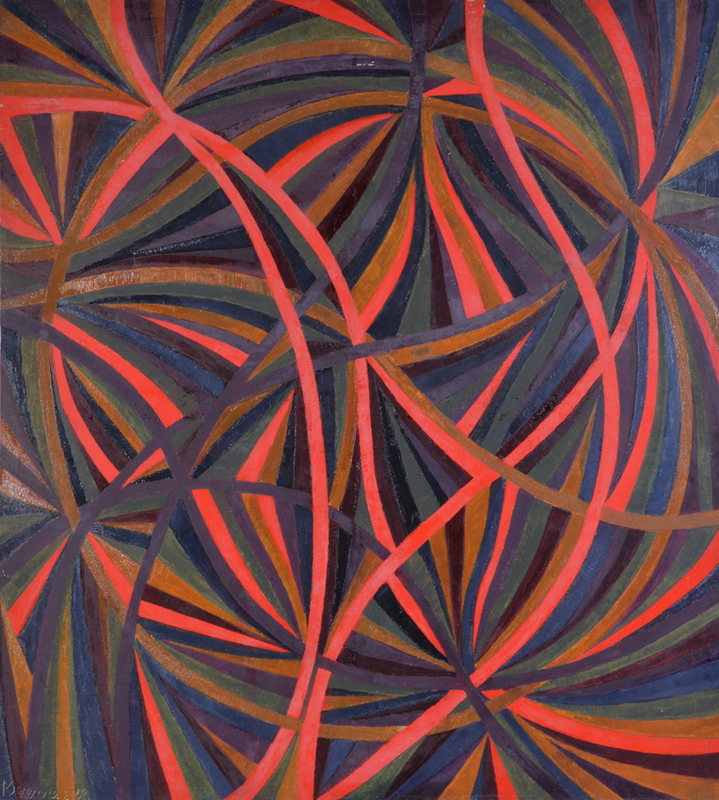 Her later works became increasingly abstracted, and she used geometric or freely composed forms to depict ‘floating cosmos’, particularly in some of her vortex-like compositions, which are on offer at the exhibition now. “SALON at the Saatchi Gallery provides an intimate venue and the unique opportunity to review and re-position her work within the wider spectrum of 20th century British art,” says Jennie Fischer, head of pictures at Dreweatts 1759. “Berenice Sydney was a brilliant colourist who uniquely combined British and European sensibilities in her work, with an enduring appetite for experimentation that was, tragically, cut short,” says Philippa Adams of Saatchi Gallery. When she was 39 Berenice died of an asthma attack. However, during her life, her work was exhibited in more than 100 private and public institutions including the Victoria and Albert Museum, the Tate and the Smithsonian in Washington DC. Proceeds from Dancing with Colour are to be donated to the Royal Academy Schools.